With Boss’s Day upon us, it’s important to recognize the leaders in the workplace who make a difference. Barbara Turbitt is the evening supervisor at Mainfare dining hall in the Hope Commons facility, and she has proved to have had a positive impact on the lives of her student co-workers. Observed on Oct. 16, Boss’s Day is a time for workers to appreciate their employers for the work they do themselves. It is a day set aside to honor all leaders in the workforce, especially those who respect and admire their employees. 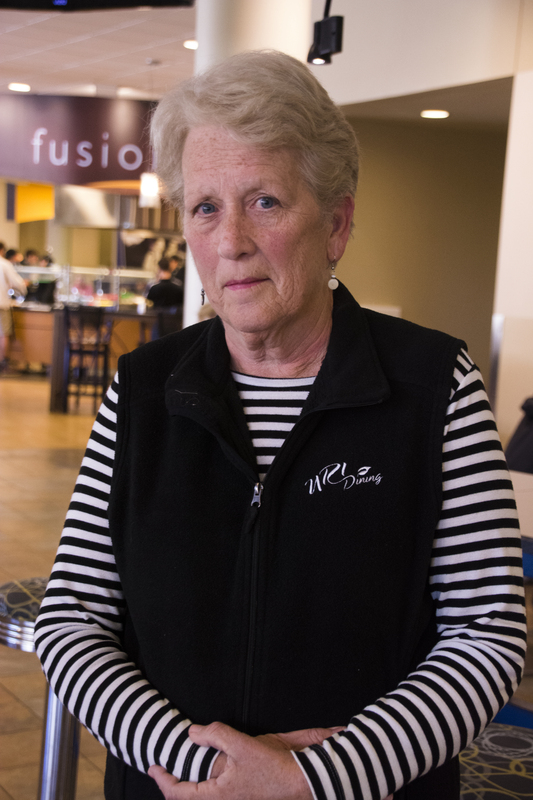 For the past 14 years, Turbitt has seen dozens of students work in the dining hall, and according to her, they are her favorite part of the job. She encourages her co-workers to reach out to her for help with anything, whether it has to do with work, school or even the little things in their daily lives. Turbitt goes above and beyond every day by making it part of her job to understand the students she works with. “You’re in college first and foremost to be educated, not to work,” Turbitt said. The one thing she wants for all the students she comes to know is for them to graduate. “It’s heartbreaking when kids drop out,” she said. She understands the current stress students experience when they go off to school and hates to see when it gets the better of them. That’s why she likes to engage her workers not only as a supervisor, but as a friend who understands that they have more to think about than coming to work. Turbitt appreciates the characters of the students she works with, none more than those who work in the dish room. 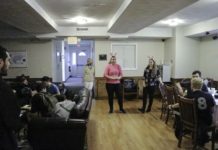 “It is probably the toughest job on campus, yet they come in to work while managing their studies at the same time,” Turbitt said. Whether it is to help pay for tuition, books or contribute to spending money, Turbitt admires all of their hard work. In fact, she never asks students to work more than they are expected. Rather, she advises them to take time off if they must. She understands and helps students recognize that after college, they are taking on the world and entering the workforce. “Eventually they will all find jobs, but it is up to them to think for themselves and stay happy.” These are the lessons she conveys to her workers, who have nothing short of respect for their supervisor. Among the dining hall staff, Turbitt is known for her kindness and composure. She has found herself eight times in a situation where a rescue squad was needed. In moments of medical emergency, she manages to remain calm while staying by the side of the student. “Everyone is watching you at that moment to see how you handle the situation,” Turbitt said. It’s that pressure that keeps her composure in the case of an emergency, and she has managed to stay brave every time one has come up.